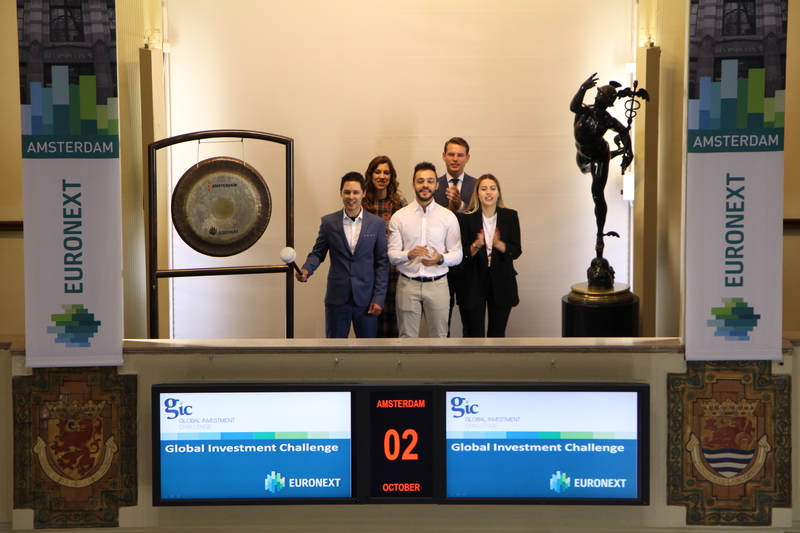 The winners of the Global Investment Challenge visit the Amsterdam exchange of Euronext and open trading by sounding the gong. The Global Investment Challenge is a competition organised by the Portuguese newspaper Expresso and SDG-Simuladores, a Modelos de Gestão SA. 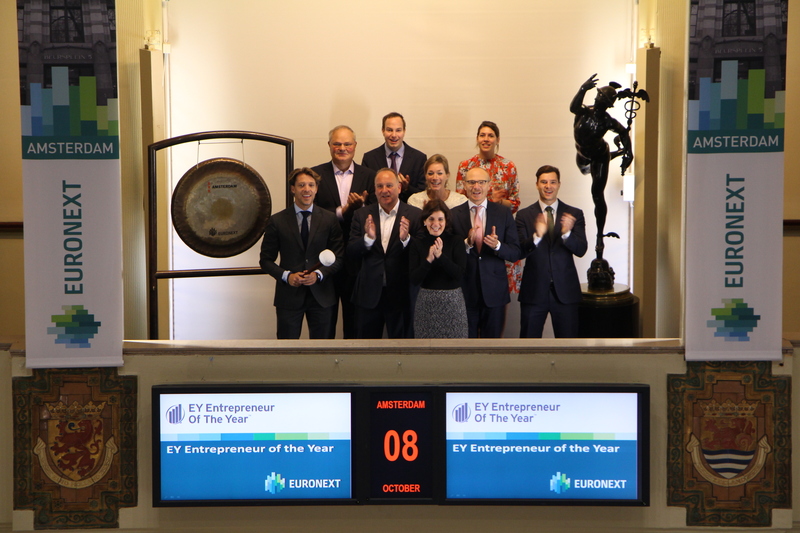 The challenge is supported by Euronext Lisbon. The competition allows participants to manage their online investment portfolio. Over 30.000 participants have competed in the last editions. The Global Investment Challenge is sponsored by the main banks in Portugal and contributes to the knowledge of Investment and Management of portfolios of financial products. The participants are 60% executives and professionals and 40% students. 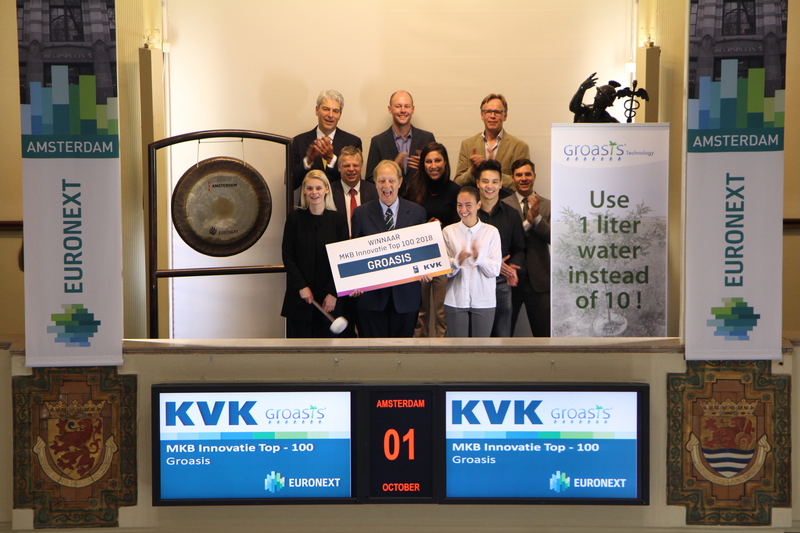 Groasis, a company that aims to reforest deserts, sounds the gong for winning the 13th edition of the MKB Innovation Top 100. This year, the Chamber of Commerce organized the SME Innovation Top 100 for the 13th time. With the Growboxx® plant cocoon, Groasis made it to number one and is therefore the most innovative MKB company in the Netherlands. With the biodegradable Growboxx® plant cocoon, Groasis has found a sustainable solution to plant deserts and infertile areas. The intelligent bucket, a square tray of recycled paper with a special coating, is filled with water once, after which small quantities are provided daily to the roots of the tree or shrub. In the meantime, the product has been patented in 113 countries and it is possible to bring infertile soil back to life worldwide. The RTL Z Beursspel will start again on Monday 1 October. 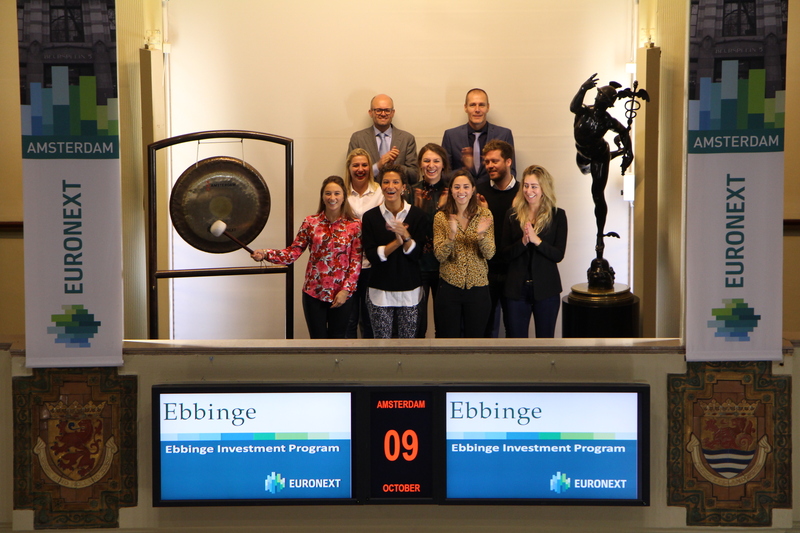 On this occasion, presenter Janneke Willemse will sound the gong on the Amsterdam exchange of Euronext. Participants who make the most money with a fictitious amount of 100,000 Euros, win a trip to New York. With the RTL Z Beursspel, participants get to know the different types of investment products. 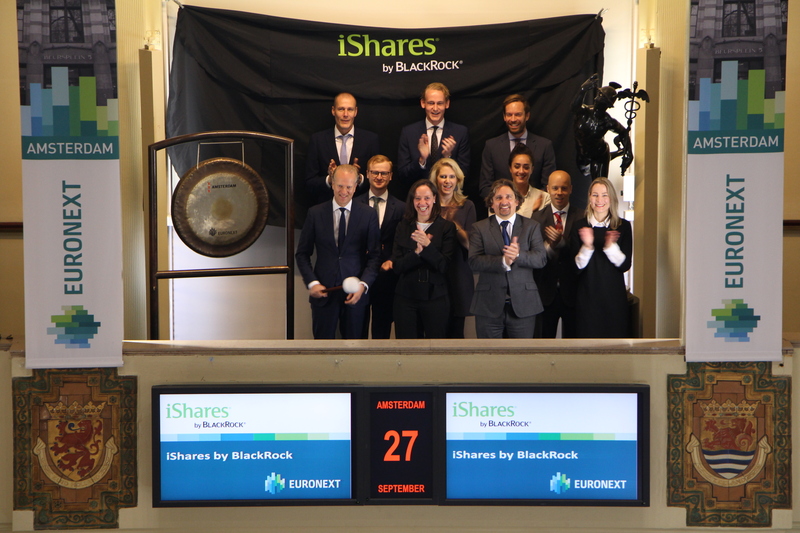 BlackRock announced the launch of a new exchange-traded fund (ETF) as more and more bond investors look to integrate environmental, social and governance (ESG) factors within their investments, with Dutch insurance company a.s.r. as the seed investor of the fund. The new iShares J.P. Morgan ESG $ EM Bond UCITS ETF (EMES) will track the J.P. Morgan ESG EMBI Global Diversified Index, one of the JESG EMD suite of indices launched by J.P. Morgan in collaboration with BlackRock in April 2018. It has a total expense ratio of 0.45%. iShares® is a global leader in exchange-traded funds (ETFs), with more than a decade of expertise and commitment to individual and institutional investors of all sizes. With over 800 funds globally across multiple asset classes and strategies and more than $1.8 trillion in assets under management as of June 30, 2018, iShares helps clients around the world build the core of their portfolios, meet specific investment goals and implement market views. iShares funds are powered by the expert portfolio and risk management of BlackRock, trusted to manage more money than any other investment firm. Based on $6.3 trillion in AUM as of 30 June 2018. Value8 opens the trading day in honor of the company’s 10th anniversary of the company. Value8 (ticker symbol: VALUE) is a Dutch investment company with a focus on the food, healthcare, business and financial services sectors. 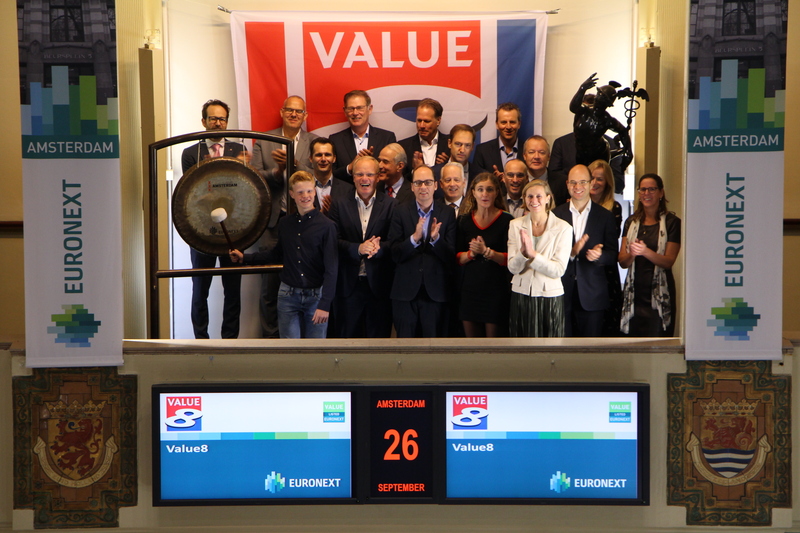 Value8 is listed on Euronext Amsterdam. DeGiro celebrates its 5-year anniversary on the Dutch market by sounding the gong. 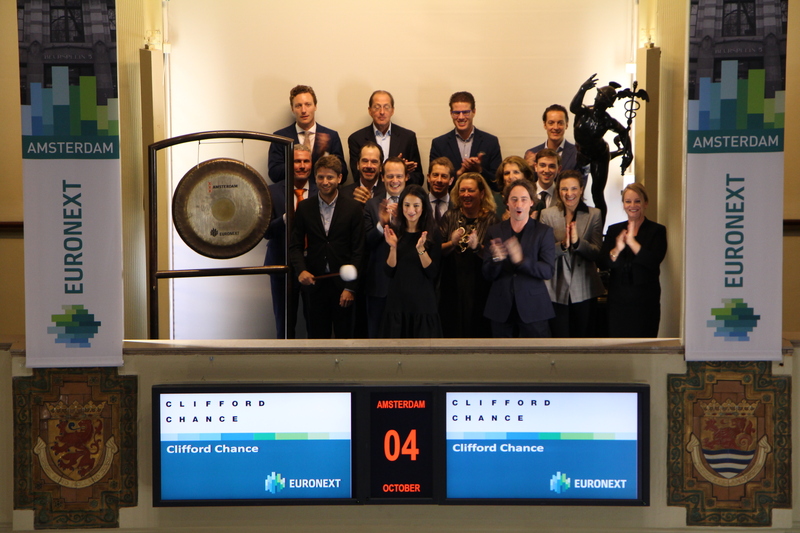 Trading on Euronext's Amsterdam exchange is being opened by new director and board member: Esmond Berkhout. The company looks back on a successful five years. 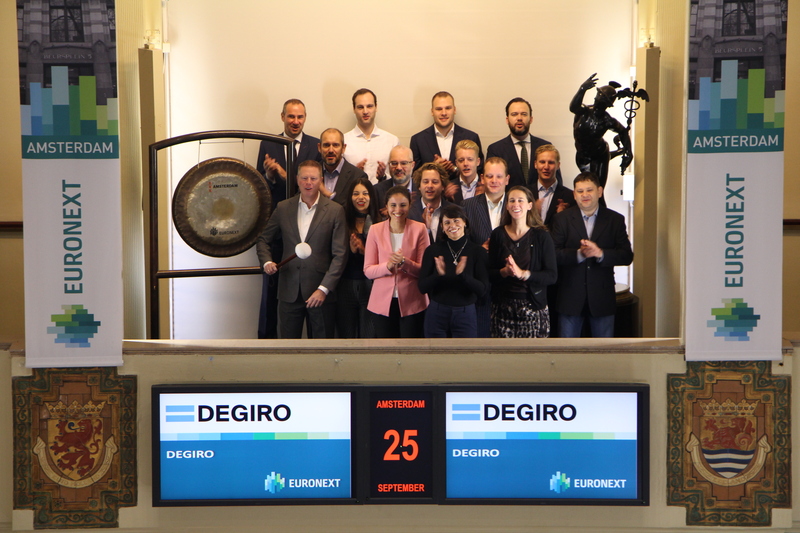 With customers in 18 countries, DeGiro is now one of the largest brokers in Europe. 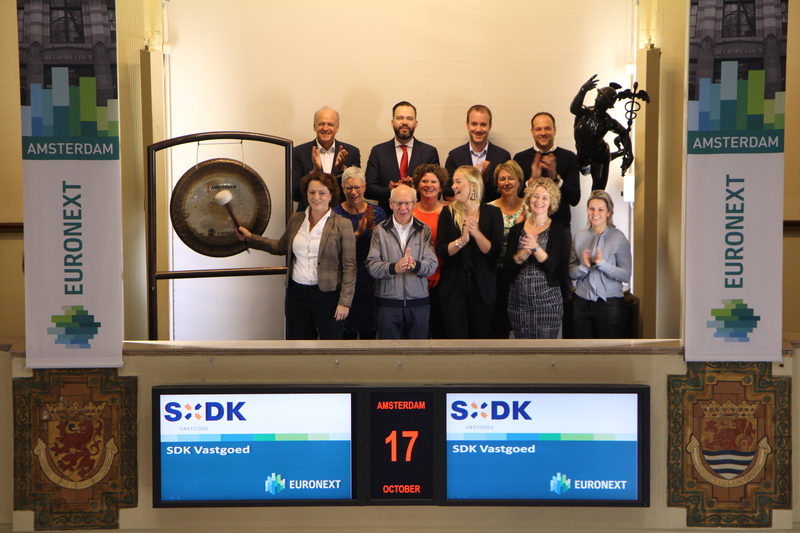 Esmond Berkhout: "I am proud of what DeGiro has achieved over the past five years and I am happy to be part of the further growth." DeGiro has in recent years devoted a great deal of attention to strengthening its organization so that DeGiro's continued growth for its customers a good way is supported, where we will continue to focus on customer experience and cost efficiency "
DeGiro wants to provide added value by developing an affordable financial service for investors worldwide. The combination of technology and financial knowledge creates the opportunity to make high-quality and cost-effective financial services available to everyone. In four years, the week has grown with the Dutch startup ecosystem. In 2017, over 500 European investors, 2500 startups and 500 CEO’s joined Amsterdam Capital Week from more than 20 cities. 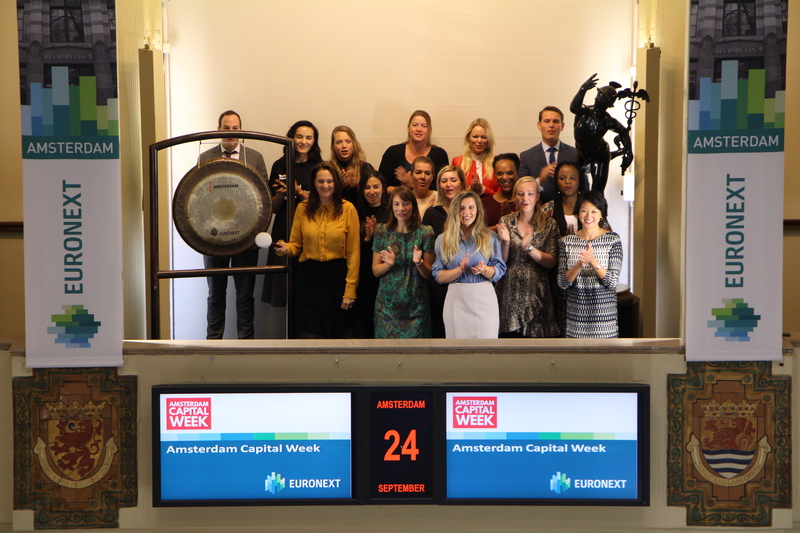 This year's edition of Amsterdam Capital Week will take place during September 24-28th. With over 30 events taking place across the city (as well as Amstelveen, Haarlem & Utrecht), founders and funders will have a week filled with opportunities to connect. 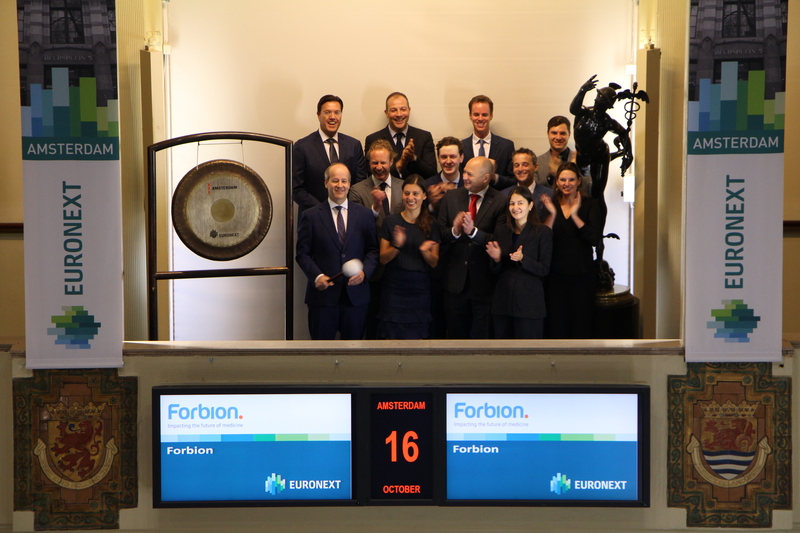 Sjors Fröhlich, editor in chief of BNR Nieuwsradio, sounds the gong on Euronext's Amsterdam exchange. He does this on the occasion of the 20th anniversary of BNR Nieuwsradio. BNR Nieuwsradio is a beacon for professionals and decision makers. BNR offers programs for entrepreneurs and professionals via the radio, online and on demand via smartphone or podcasts. 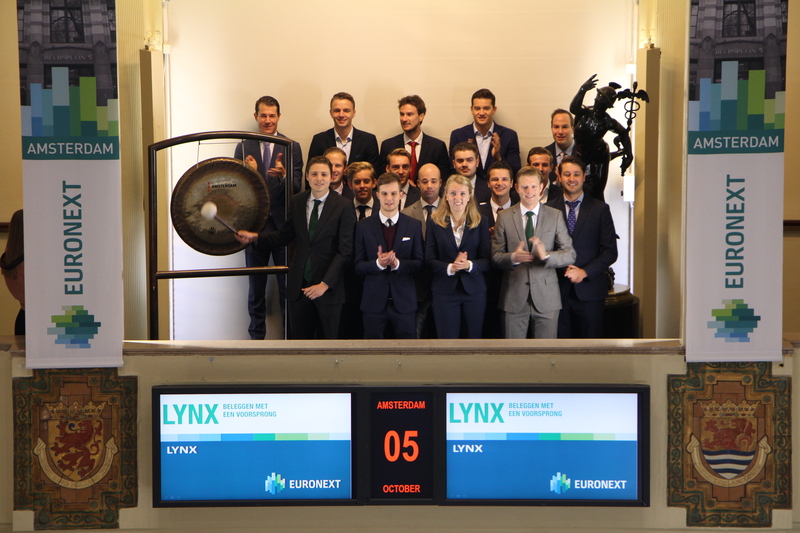 BNR is the only Dutch radio station to keep track of the stock prices, which they have done for the last 20 years. BNR also shares 24/7 news on tech, innovation, mobility, economics and business. ABN AMRO, Ahold Delhaize, KLM, Le Champion, and Asics open the trading day to launch the Dam tot Dam Weekend. 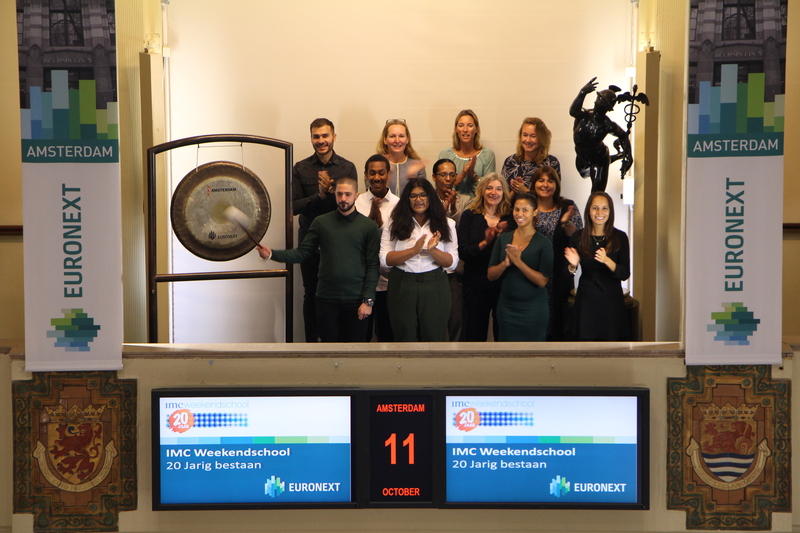 Monique Bosbaan, Reward Consultant /Wellbeing/Vitality expert at ABN AMRO, sounds the gong. 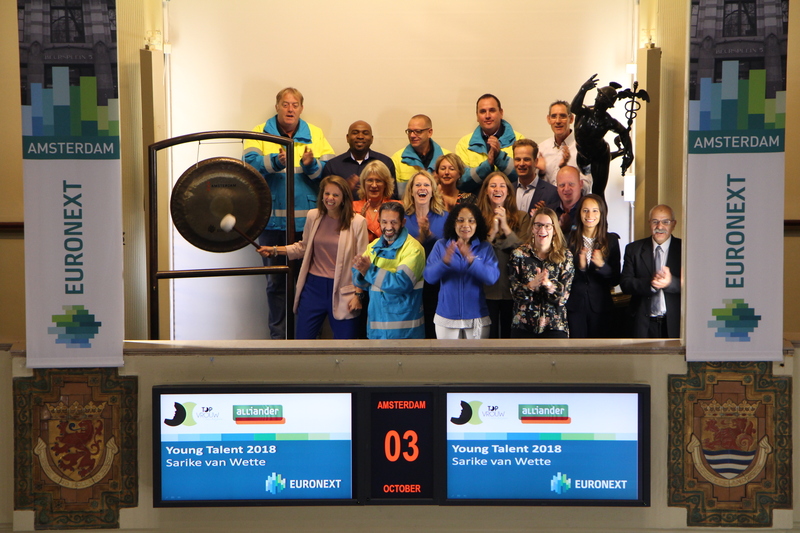 Asics, and Euronext listed ABN AMRO, Ahold Delhaize and KLM are sponsor of the Dam tot Damloop, the biggest running event of the Netherlands. During the weekend weekend 87,000 athletes will enjoy their participation during one of the Dam tot Dam events. Saturday 22 September 16,000 walkers participate in the Dam tot Dam Wandeltocht. In the evening follows the Damloop by night with 15,000 runners. One day later 6,000 cyclists come to the Dam square in Amsterdam for the Dam tot Dam FietsClassic. The highlight of the weekend is the Dam tot Damloop with 50,000 participants. Over 150,000 spectators come to Amsterdam or Zaandam to soak up the atmosphere of the events. Le Champion organizes sporting events in the field of running, cycling and hiking. In addition to the Dam tot Dam events they organize various large-scale events such as the TCS Amsterdam Marathon, the NN Egmond Half Marathon, AGU Egmond-Pier-Egmond, the Ronde van Noord-Holland and the Plus Wandel4daagse Alkmaar. RTL Z presenter Roland Koopman sounds the gong on Euronext's Amsterdam exchange to announce the start of a new series of RTL Z Beurs Inside. 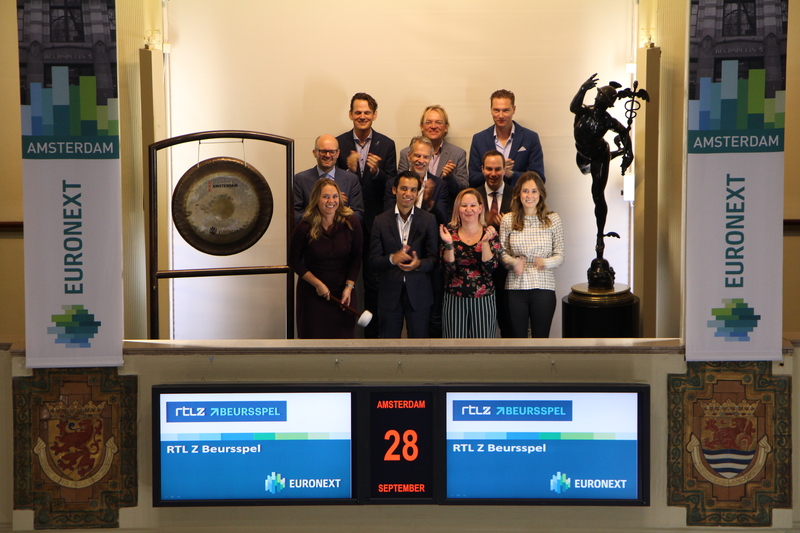 RTL Z Beurs Inside is an informative program in which presenter Roland Koopman, together with his regular analysts and current guests, takes a look at the stock market developments of the past week and upcoming week. The central question is: where is my profit this week? By doing this, investments can be better and be completely up-to-date with the upcoming trading week. The winter season starts on Monday, September 24 (live at 8:30 p.m.) with guest Peter Paul de Vries and three investment experts Jim Tehupuring, Janneke Willemse and Jos Versteeg.